World Express participated as a host for a 2015 Mega Fam Trip for over 50 incentive travel and meeting planners from North America, Europe and Australia who visited Singapore for 5 days in June 2015. Our co-partners for this collaborative effort included the Singapore Tourism Board, Changi Airport Group, Marina Bay Sands, Resorts World Sentosa, Pacific World, and Singapore Airlines. Aptly called the “Windows of Discovery”, the Fam Trip showcased Singapore as a modernized “city in a garden” with an eclectic and unique mix of local cultures. Guests had the opportunity to experience various fine dining venues helmed by celebrity chefs as well as local street food, both of which form an integral part of Singapore. In addition, guests were treated with the warm hospitality of two accommodation and meeting venue partners – Marina Bay Sands and Resorts World Sentosa. Both hosted the guests’ accommodation, site inspections and meals. The journey around Singapore began with breakfast in the gardens at the heritage-rich “black and white house”, Burkill Hall, nestled within Singapore Botanic Gardens, recently conferred a UNESCO World Heritage Site. Completing the blooming morning was an exclusive tour around the National Orchid Garden, of which guests were introduced to over 1,000 species and 2,000 hybrids of orchids. Thereafter, guests caught a more intimate glimpse of Singapore as they engaged in a runaround tour around the city. The exploration started on land and water from the heart of the city, and extended to public housing estates and major ethnic enclaves. 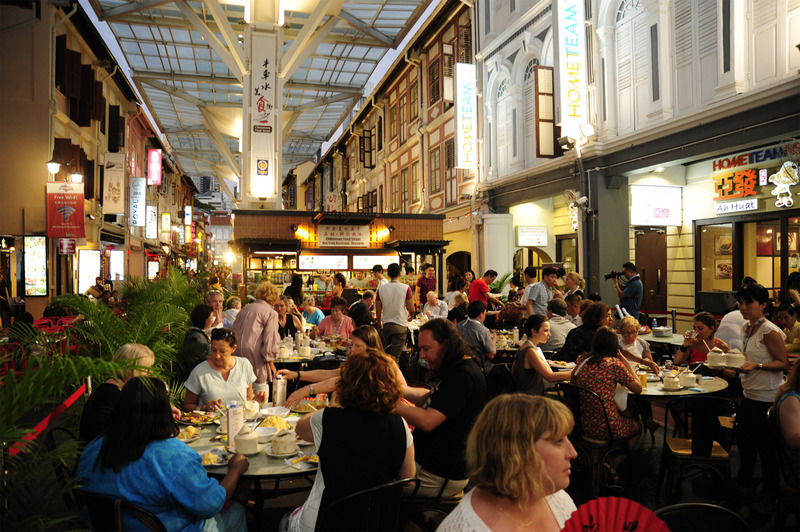 Amidst the tour, guests dined in private at the Chinatown Food Street, where the quirky charms of old Chinatown and street hawkers were recalled. The next day, guests continued their excursion at Singapore Zoo and River Safari. The wild adventure concluded with fine dining on the Gourmet Safari Express in the Night Safari. Guests were highly impressed with the first of its kind fine dining experience amongst the creatures of the night, all on board a moving tram. The final day of the trip entailed a business mart within the colorful gardens of the Flower Field Hall in Gardens by the Bay. Enriching the day was an eye opening visit to the Singapore Airlines Training Centre that allowed guests to gain behind-the-scenes access to training of the pilots and cabin crew of Singapore Airlines. The Fam Trip awed participants with Singapore’s diverse cultures and distinct personality as not only a global commercial and transportation hub, but also a “city in a garden”. Without doubt, our guests will return for a visit soon enough, for more adventure on the little red dot known as Singapore. Our MICE team creates unforgettable itineraries of Singapore. Contact our team at events@worldexpress.com.sg.